Click to register for 2018-19 now! Fernie Freestyle Ski Club is a group of dedicated Freestyle Athletes, Coaches and parents. Our programs are focused on athletes aged 6 to 17 who want to improve their Slopestyle, Mogul, Park, Big Mountain and Natural Terrain skiing in a positive, safe and supervised environment. Our home mountain is Fernie Alpine Resort in Fernie BC and our coaches focus on developing athletes’ skills to meet their goals – fun recreational or competing at the Club and Provincial levels. Have a look at us to learn more about our program, coaches and some of the upcoming Club events. Our Coaches are key to the success of Fernie Freestyle. All of our Coaches have extensive backgrounds in Freestyle skiing and have completed Canadian Freestyle Ski Association (CFSA) courses and certifications. The result is our athletes are trained to be their best in a safe environment and progress as their skills develop. 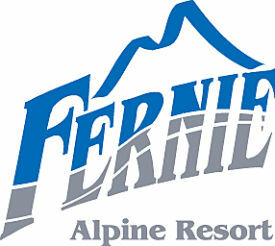 Training at Fernie Alpine Resort is our primary Winter Program from December to April. We ski everything – Moguls, Park, Big Mountain, Powder, Pillows, Steeps and Drops. Athletes can choose between a recreational, non-competitive, learning to compete or high performance competitive programs. In addition to winter program, there is optional training for Trampoline in Fernie and Calgary, Air Bag, Mid-Week Skiing at COP Calgary and summer training at Whistler Glacier.